Dana studied in San Francisco and received a Masters of Science in Traditional Chinese Medicine from the American College of Traditional Chinese Medicine. 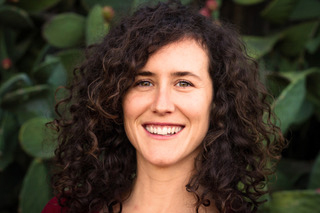 She is a California Board Certified Acupuncturist and enjoys teaching people how to connect with their bodies. Trained in yoga, acupuncture, herbalism, shiatsu and tui na (Japanese and Chinese Massage) as well as reiki, Dana combines what she has learned to help others come to a place of optimum health. She wants to teach others to take control of their health, become more embodied and learn to heal themselves. She believes that through conversation and education we can become more self aware which can lead to a more balanced and healthy lifestyle. Dana believes that food is medicine and has spent many years learning how to connect with food and feed the body what it needs to thrive. In her practice she loves to help others make dietary choices that are more nourishing and in alignment with their own bodies.